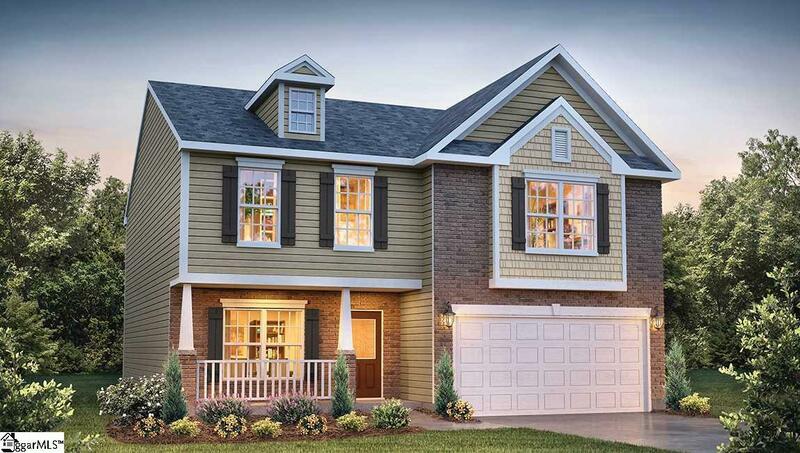 Howard's Park is our newest community in Simpsonville, located just minutes from I-385 and downtown Greenville with premier shopping and dining. Beautiful open floor plan, plan with formal dining room and kitchen with granite counters, recessed canned lighting, and stainless steel appliances that overlooks great room. Upstairs you will find 4 spacious bedrooms and generous laundry room w/separate linen closet This is an incredible value with all the benefit of new construction and a 10 yr. Home Warranty! Builder is currently offering up to 3% in closing costs when using a preferred lender. Listing provided courtesy of Vonnie Vaday of D.R. Horton.